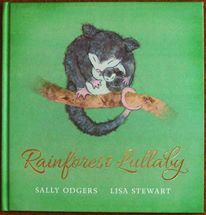 Rainforest Lullaby is the companion to Boshland Lullaby, also illustrated by Lisa Stewart and published by Scholastic. In 2014 Rainforest Lullaby was shortlisted for an environmental award. Read all about it here.